There are many books that I love. Scanning my library they call out to me, reminding me of why I love them so much. The books that have influenced me is a little harder to define but the ones listed below have stayed with me long after the last word was finished. These books have come to symbolize for me the things I love most and why reading is so powerful. The final three books symbolize what I hope to one day achieve with my own writing. Rachel's Tears by Darrell Scott and Beth Nimo - I remember the exact day this book was lent to me by a very good friend - April 1st 2001. 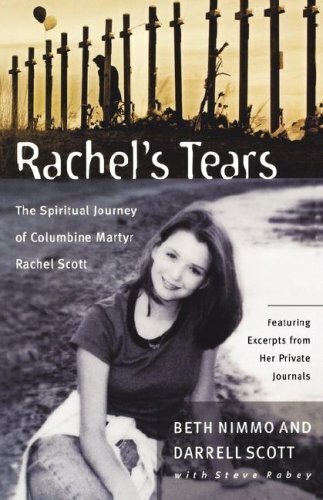 The story of Columbine High School Massacre victim Rachel Scott brought me back to Christ. Previously I had always struggled to pray to God, until I read Rachel's Tears and saw that she used a journal to communicate with God. Since I always liked writing, I thought I'd give it a try. Twenty four journals later has more than proven this is the most effective way for me to talk to God. 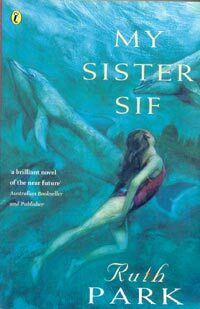 My Sister Sif by Ruth Park - I read this as a young teenager and just loved the coming of age story set in the pacific islands. There was a particular paragraph that still resurfaces from my memory every time I think of this book. The paragraph was describing the view of the little island from the window of a plane. I always wanted to visit that place. I just loved the way Ruth Park made the island look. I still see it shinning in the early morning sun as the plane heads towards land. The Weight of Shadows by Alison Strobel - This book really touched me in terms what I wanted to do as a writer. It was the first Christian fiction book I'd read that was full of realistic people and realistic problems, yet the grace of God just shone throughout the book. I didn't know until this book that Christian authors could write on the realism of life with such clarity and depth, yet also pointing the reader directly to Christ as the balm of healing and resolution. 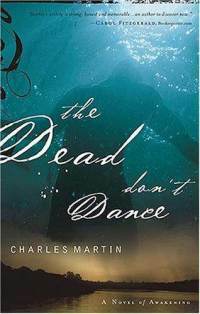 The Dead Don't Dance by Charles Martin - This was my first book by Charles Martin and he is right at the top of my favourite author list. I remember reading this book and being floored by his ability to paint pictures with his words - and what beautiful pictures they are! I came away from this book - and all his books - just wanting to tell stories and be a vivid as possible with my characters and their worlds. 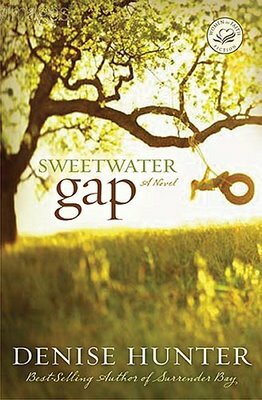 Sweetwater Gap by Denise Hunter - I remember this as the first Christian fiction book that I loved. For that reason alone it is on this list. There are however a couple more reasons why this book is listed here. The road to romance for Josie and Grady is far from easy but is funny at times and tender when it counts. Josie herself is a woman who needs forgiveness but can't figure out how to get it or even if she deserves it. Then there's Grady McKenzie...no fictional hero has come close to matching him yet. I really should read Alison and Charles one of these days! Just where to fit them in amidst the chaos that is my life ... great list, Jess! Jess, Love looking at your list! Charles Martin is awesome and a fav of so many. Me, too! Very moving to find that Rachel's story led to you journaling your prayers. God bless you and Helen as you read and post for Him! Thanks so much for commenting! If anyone could stand it, I'd rave on and on about Charles Martin! I just love, love, love this guy's ability with words! Rachel's Tears I think is imbedded in my soul I'd read it that many times - always finding something new from it! I can't imagine how I'd ever come up with a list of just 5 that have impacted my life... although one would be 'Light Force' by Brother Andrew and Al Janssen which made me aware of the incredible ministry Open Doors and regularly praying for the persecuted. Thanks for the comment Noela! I was 17 when I read Rachel's Tears and it just brought me to my knees. I actually got to see Darrell Scott give a talk when he came to Sydney several years ago. Oh you must check out Charles Martin! His books are ones to drink in slowly and they stay with you for a long time. I'll be reviewing next week his book Where the River Ends so keep an eye out for that.